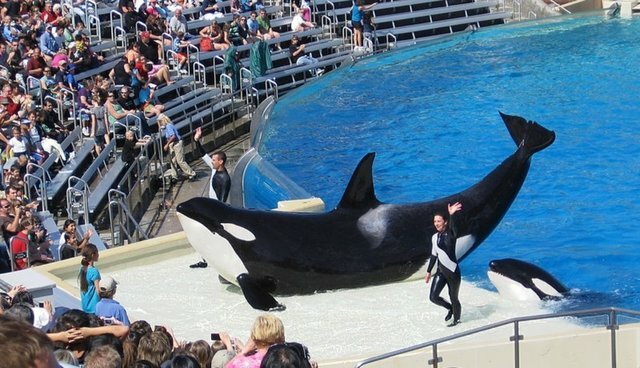 The CEO of SeaWorld Entertainment, Inc., Jim Atchison, sold 50,000 shares of his stock in the company on Monday. According to a legal filing disclosed by the Securities & Exchange Commission, the shares were each sold at an average price of $31.55 -- a total transaction of $1,577,500.00. Atchison still owns 636,852 shares in the company -- a total value of approximately $20,092,681. According to the Orlando Sentinel, this is the latest of Atchison's big stock unloads -- he sold off more than $3 million worth of company shares within the last month. Atchison earned a salary of $395,000 with the company in 2012, plus a bonus of $389,984. Atchison is the target of several petitions calling for the park to end its captive breeding programs and to stop using animals in performances.